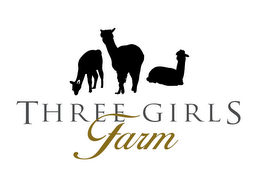 This years Great Geauga County Fair was a huge success for the three girls of Three Girls Farm. Carly took 3 blue ribbons and a 2nd in 4H Alpaca competitions. Taylor took 3rd place with her delicious peanut butter cookies, second ribbon in as many competitions. And last but not least, Beth won a blue ribbon for her hand knit patriotic baby sweater, hat and mittens and a second place with her childrens "kitty hat". Not bad for a couple of country girls. Yarns and Stuff is up and running!